As a keen photographer and safari-goer, I am often asked for advice on what is the best camera for safari and can you get a decent photo on safari with a phone. 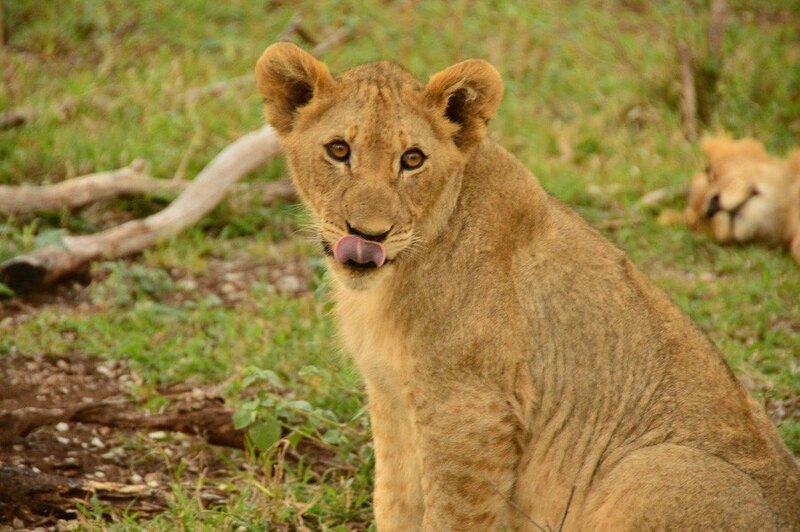 A good camera for safari will require some investment and can be well worth it if you develop a passion for this area. 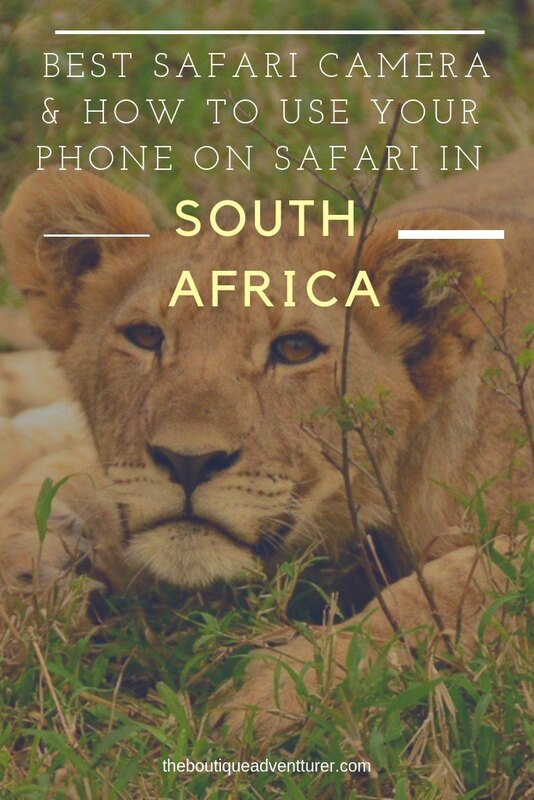 However, if you are new to safari and not sure if you want to make that level of investment there are many ways to produce stunning safari photos on your phone – plus some low-cost ways to take your safari phone photos to the next level! In the past, I had been of the belief that the only way to get good photos on safari was to invest in a decent camera. The reason for this is that in the past the cameras on most phones have been pretty dreadful when it comes to zooming – a critical requirement for capturing animals. However, a recent visit to the stunning Thanda Safari Lodge and a lesson with their resident photographer Christian Sperka completely opened my ideas to how great phone photography can now be on a safari holiday. NB: I am writing this post for those that are new to safari photography – you experts tend to already have many views in this area! Why is Camera type so particularly important for Safari Photography? 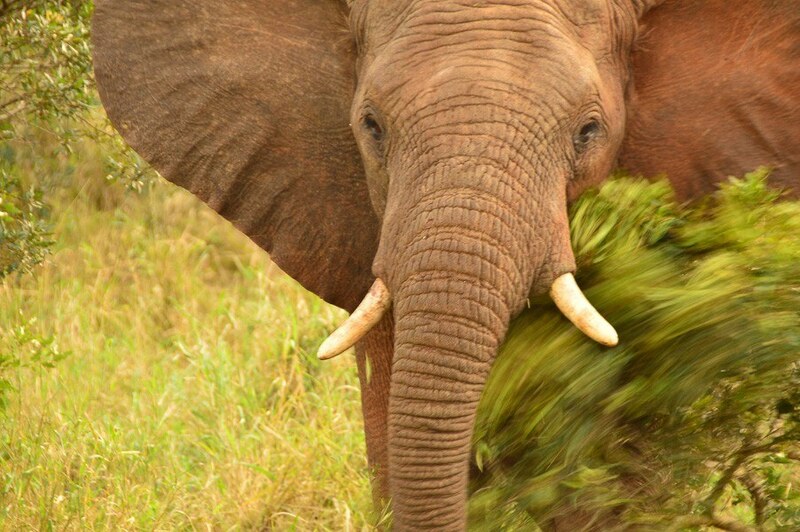 -The animals are often quite a distance from the vehicle and in many instances, it will not be possible to get closer. Therefore, to take a good clear photo of the animal a zoom is critical. -a day on safari normally involves major and multiple changes in light. Also, the general light may be quite good but animals, unfortunately, may often be in shaded areas. To get a nice clear shot it is critical to be able to adjust your camera settings to take the light into account. The good news is safari is one of the few times where it is not necessary to worry as much about the weight of the camera and the amount of gear related to the camera eg different lenses, tripods etc. 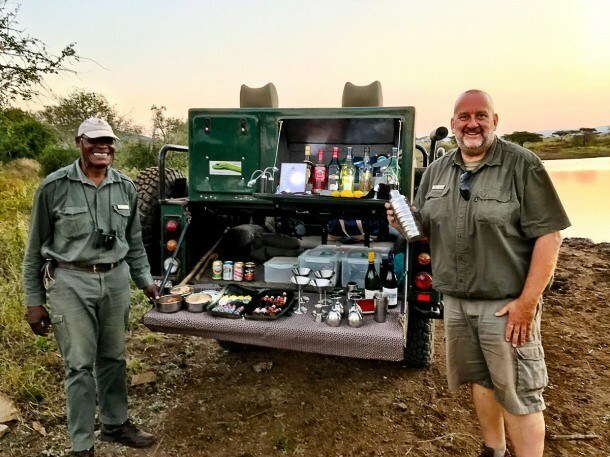 The reason for this is you will generally be on a vehicle most of the time (a walking safari is obviously a bit different) so have space to place extra equipment. However, you do need to get them on the plane with you! 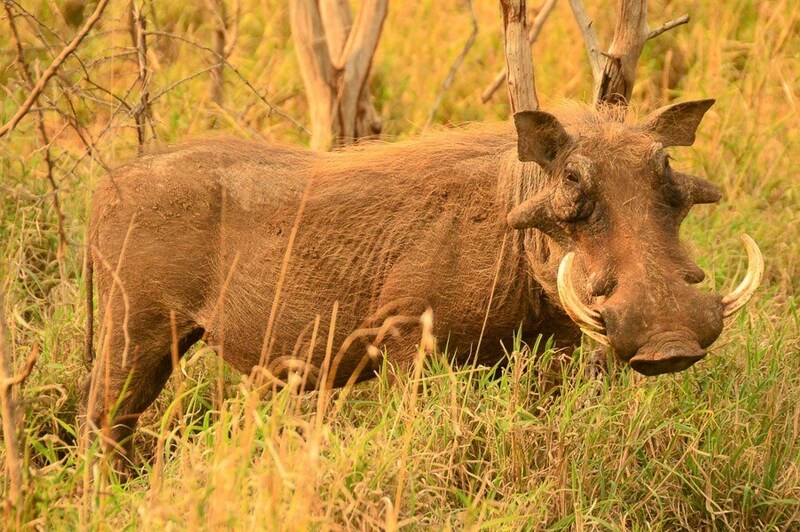 Before you head out on safari read this great post on all the different Collective Nouns for Animals from the fantastic Wildlife Diaries blog. What are the different types of Cameras that I could use for Safari Photos? The most basic option is the good old point and shoot camera. These are lower cost option and tend to be quite light. Many come with different presets such as for evening or sports (which is a good setting for animals as it is for fast movement) that can allow adjustments for light. A basic point and shoot can work very well for wide shots on safari – showing the general landscape/skyline, sunset or sunrise shots – as well as of course capturing the experience of safari eg shots of those on the vehicle, the drivers, sundowners etc. Their biggest weakness is a lack of zoom. The average point and shoot do have a 10x zoom which sounds like a lot but alas is not when it comes to capturing animals. The next level up is the bridge camera – this is basically halfway between a point and shoot and a DSLR camera. So the zoom is better than a point and shoot as its ability to react to fast action – but it is still not to the quality of the DSLR. This is the in-between option with prices which reflect that. Generally, the best option for a safari camera is a Digital SLR camera. This is the type of camera that professionals tend to use but it does not mean it is out of scope for the average photographer or new photographer. Indeed, I have had mine for years. The camera body itself is not that expensive. Where the cost can come in is the lens. Most digital SLR cameras come with a wide lens on purchase. In order to zoom it is necessary to buy another lens. 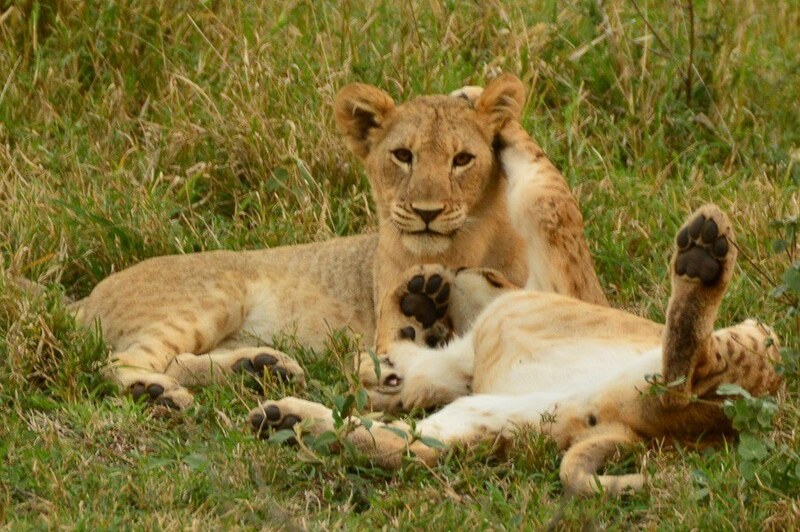 A digital SLR body with a strong zoom lens held firmly will produce the clearest and best safari shots. Of course, to achieve this there is considerable cost involved. Mirrorless cameras are not too far away from a DSLR. However, there are fewer options when it comes to lenses and they are still not quite as fast as a DSLR which is often critical with safari photography. A Go Pro or 360 cameras can work really well in capturing the safari experience of a game drive. However, my personal experience with them on safari has not been great. As they tend to cover a wide range the animals themselves become quite tiny and inconsequential. Yes they are great for capturing a mood and feel but my personal opinion is they are not best suited to safari. I haven’t mentioned drones as they are not allowed in many private game reserves or national parks as they can scare the animals. Looking for more great animal photography experiences? Check out my post on Whale Watching Hermanus. [easyazon_image align=”none” height=”333″ identifier=”B06Y62KR4B” locale=”UK” src=”https://images-eu.ssl-images-amazon.com/images/I/414zi5-aMVL.jpg” rel=”nofollow noopener” tag=”theboutiquead-21″ width=”500″] This is a fantastic option for those new to photography who are looking to get a decent shot without having to learn how to become professional photographers. The camera will make most of the decisions for you to determine the best shot and it has an excellent zoom range – great for safari. It is a sturdy camera with effective image stabilisation – also good to capture those fast moving animals! Click Here to See Prices on Amazon for the Canon Powershot SX730 [easyazon_image align=”none” height=”500″ identifier=”B010X7TG0Y” locale=”UK” nw=”y” nf=”y” src=”https://images-eu.ssl-images-amazon.com/images/I/41eW0C302jL.jpg” rel=”nofollow noopener” tag=”theboutiquead-21″ width=”500″] This is a very innovative camera that has jumped to the head of the queue in this category. It has a very large sensor for this type of camera and this is critical to clear images – very important with animal shots. 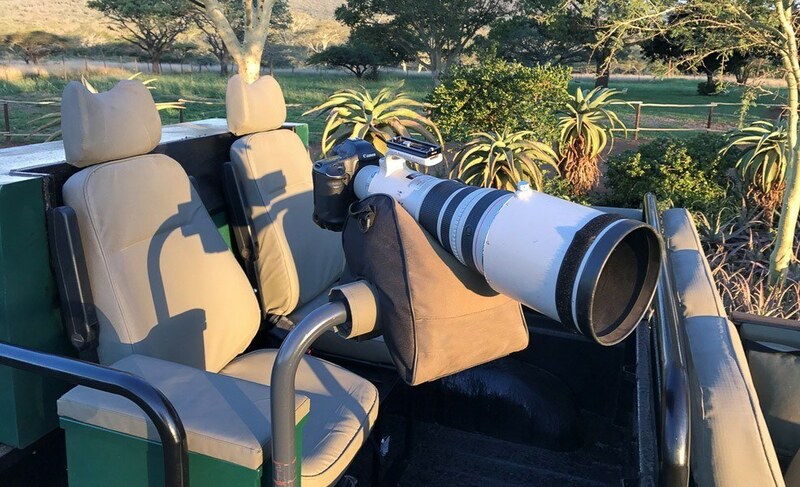 It is also particularly good in low light and has a very fast autofocus – great for sunrise and sunset on safari and for catching those animals on the move. Unlike most cameras in this price range, the Sony RX100 shoots in raw. This is great if you’re keen to get going in the world of photography but otherwise, this feature won’t be of much use as it really comes to life in the editing process. Of the two point and shoot options, this is the one to get if you are quite sure you will continue to pursue your interest in photography. [easyazon_image align=”center” height=”333″ identifier=”B00NLHEQGS” locale=”UK” nw=”y” nf=”y” src=”https://images-eu.ssl-images-amazon.com/images/I/41-X-C5LhLL.jpg” rel=”nofollow noopener” tag=”theboutiquead-21″ width=”500″] The big benefit of this camera is a 65X zoom – fantastic for safari shots. It also offers full manual control and allows shooting in Raw. Plus it has inbuilt wifi. The only downside is its size – it is nearly as big as a DSLR. And it doesn’t perform quite as well in weak light – but is fantastic in good light. This is perfect for the high end amateur photographer. [easyazon_image align=”center” height=”347″ identifier=”B00M0LQVEQ” locale=”UK” nw=”y” nf=”y” src=”https://images-eu.ssl-images-amazon.com/images/I/41p-dojBvwL.jpg” rel=”nofollow noopener” tag=”theboutiquead-21″ width=”500″] A fantastic overall bridge camera. Its big advantage is 4K video capture. If you are into video then this is the bridge camera for you. [easyazon_image align=”center” height=”381″ identifier=”B00KT69ZNI” locale=”UK” nw=”y” src=”https://images-eu.ssl-images-amazon.com/images/I/51-efu7S1bL.jpg” rel=”nofollow noopener” tag=”theboutiquead-21″ width=”500″] This is a particularly good buy as Sony have brought in subsequent models – bringing the price down on this fantastic camera. It is packed full of features and will give you some great clear shots. It is also a nice small size. And it has a very fast auto focus for this type of camera, enabling animals in action to be more likely to be captured in focus. The Canon EOS M50 takes great clear shots and is very easy to use – it is perfect as an introductory mirrorless camera. It has 4K video capture so fantastic for those more interested in taking video. It’s lens range is not quite as good as others at this level so if it is animal close ups you are after this might not be the best option for you. When it comes to DSLR cameras the question you will often hear between photographers is Nikon or Canon? These two brands have tended to own the top of this market for some time. Personally, I have always been a Nikon person and love my Nikon DSLR. Do carefully research both brands before you buy. Once you purchase you are then quite committed to buying complimentary lenses and gear linked to that brand – and you can’t use a Nikon lens on a Canon body and vice versa. Generally for safari the longer the lens the better – this is where you see the classic shots of photographers with very long tele photo lenses! However, these lenses are expensive and very heavy! I probably use my longer lens 2-3 times a year on trips – but I am super happy when I have it. And I have had the same one for many years. So the good news is they do last – but as I mentioned above you are tied in to the brand of your body camera. Essentially, there are two options when it comes to a longer lens. Spend a bit less and go with one of the lesser known brands – a good option for amateur. Or invest in the nikon or canon equivalent – not cheap but will last a long time. Here are two brands I have personally used at the lens lengths here for safari and I have been very happy with the results. Another less expensive option is to hire a lens to take on safari – or even a camera (although it is generally best to be quite familiar with your camera before a safari trip so that you don’t have to try to figure out how to use your camera whilst the elusive leopard disappears!). I’m not aware of anyone who does this on a global level but if you do please email me and let me know! In the meantime, the best thing to do is type into Google something like “Hire a camera lens name of my city”. This is what popped up when I put it in for London – Lenses for Hire – and Lens Pimp – good name! A tripod will serve you well on safari. Its key benefit is giving you a base for your camera that is completely stable – allowing for a much greater chance of getting your shot in a clean crisp focus. There is no need for anything fancy – this amazon basics one really does the job. Don’t leave home without a Lens Filter! Not only are these good for UV rays they also protect the lens of your camera. I have dropped my camera or accidentally whacked it against a hard surface many times. A Lens filter is much cheaper to replace than a lens! And it tends to then be the only thing that gets damaged and protects the camera. These little beanbags are brilliant to use on vehicles. Stick the bean bag anywhere – on the edge of the vehicle, on the table, on the hood of the car and you instantly get a stable base for much clearer shots. Empty the bag out before you go and just add sand when you get there – same thing on the way home. So, it used to be that the options above were the only way to take good clear photos on safari. However, advances in camera phones plus new accessories are now giving phones a genuine place in the safari vehicle! Using my phone for anything bar atmosphere shots on safari was new to me so I sat down with what is possibly the only resident wildlife photographer at a lodge in Africa – Christian Sperka at the wonderful Thanda Safari – to tell me how to achieve this. Don’t miss my Safari Suitcase Packing Guide to make sure you bring all the right gear! 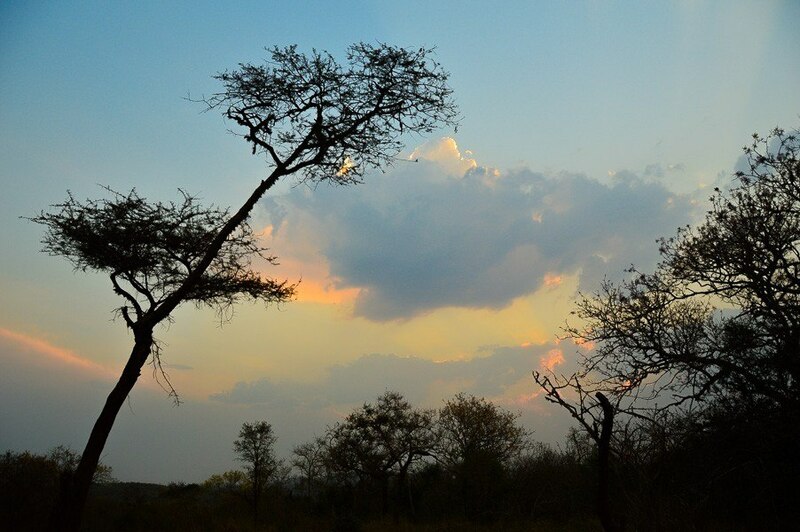 The Thanda reserve has a quite unique mix of topology – from oceans to inland to the coastline. This provides a great range of backdrops for photos – and it also means Thanda is a birdwatcher’s paradise. 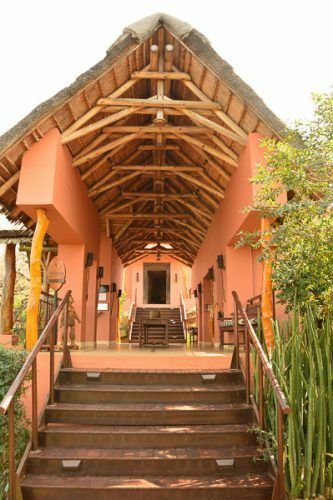 For more about the lovely Thanda check out my post on A Luxury Travel Blog. Thanda has two very unique offers. Firstly, it has its own resident wildlife photographer – Christian Sperka. Secondly, all guests to Thanda are offered a free 90-minute photography lesson with Christian. I cannot recommend this highly enough. I thought I knew a lot about photography but Christian showed me quite a few new and neat tricks that I now use off safari as well as on! Christian is also an excellent teacher. He uses clear and regular language (no detailed camera talk!) and is outstanding at explanations. He has been at Thanda for 6 years and has taught over 1200 people during that time! Learn more about wonderful South African Animals in this informative post. -Phones are great for wide angle shots. You can absolutely use your phone to capture great shots of the lodges, the drives, sundowners, sunrise/sunset etc. -the iphone 7 represented a major improvement in phone camera quality. This was then taken to the next level with the iphone 8 plus and the X. The latter two come with two lenses which allows for greater zoom capability without losing photo quality. The more recent a model your phone the more likely it can get some great shots on safari. -there are now some fantastic “Clips” that you can add to your phone that will massively improve the zoom and quality of your phone photography. These little telephoto lenses literally clip on to your phone and are considerably cheaper than any traditional camera lenses. -movement is a key part of safari photography. Rather than moving your phone camera – which won’t get good shots – hold the camera firm and push down on the take a picture button. This should then result in a “burst” of photos. It is then possible to edit the burst and just keep the best ones. -panorama can work well on safari – and you don’t need to use the full range. It is possible to take 90 degree rather than 180 degree photos – just stop the shot at the point you want. And don’t forget you can also just tap the arrow and do the panorama shot from the other direction – for some reason this had never occurred to me! -and don’t forget your beanbag – these work as well for phone cameras! If you can, book your lesson with Christian even before you arrive. He is not always at Thanda but can generally arrange to be there if given sufficient notice. I also recommend that you do your lesson on the first day so that you will constantly be using what you have learnt. 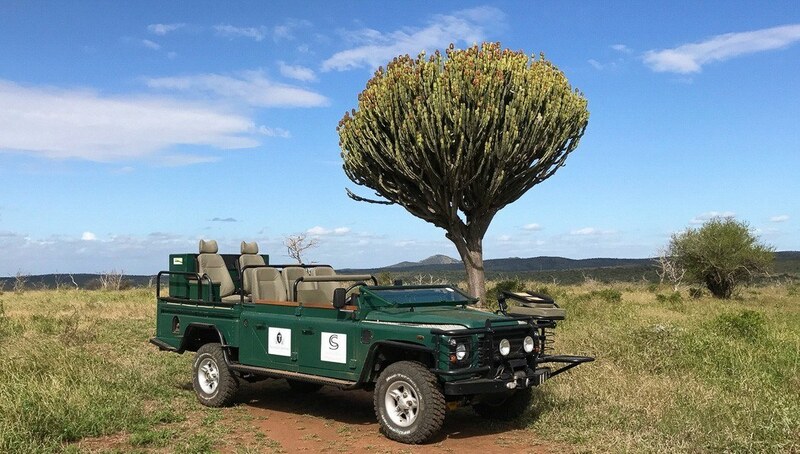 If this sounds like just what you are after Christian also offers further lessons as well as the opportunity to go out on a private game drive with him in the Green Mamba! 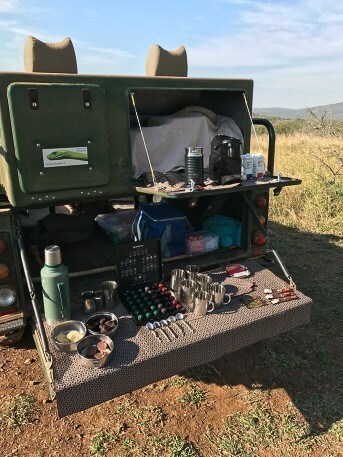 Not only will you get to make a major improvement to your photography skills (and nab some amazing safari photos) you will also be able to drink Nespresso coffee in the middle of Zululand thanks to Christian’s portable machine! The Green Mamba has been designed for photographers. There is extra legroom to allow movement for the optimal shot. There are even mats on the floor as it can be necessary to get down on your knees to balance the camera for the clearest eye line to the animal. There is also a martini bar for the ultimate sundowner – and make sure you try Christian’s signature drink the Chocaroola – hot chocolate, Amurala, espresso and some warm frothy milk! Your photography is absolutely spectacular! I have always wanted to go on Safari. I am also looking for a new camera, so I will definitely take on your advice. Thanks Alexandra – you are very kind. Safari is an amazing experience which I highly recommend. This is a great selection, I have been looking for a camera and I will be checking these out and I think the tripod is also a very necessary one when it comes to a safari. thanks Joan – the tripod is of help – but you may well use the beanbag more often for stability! 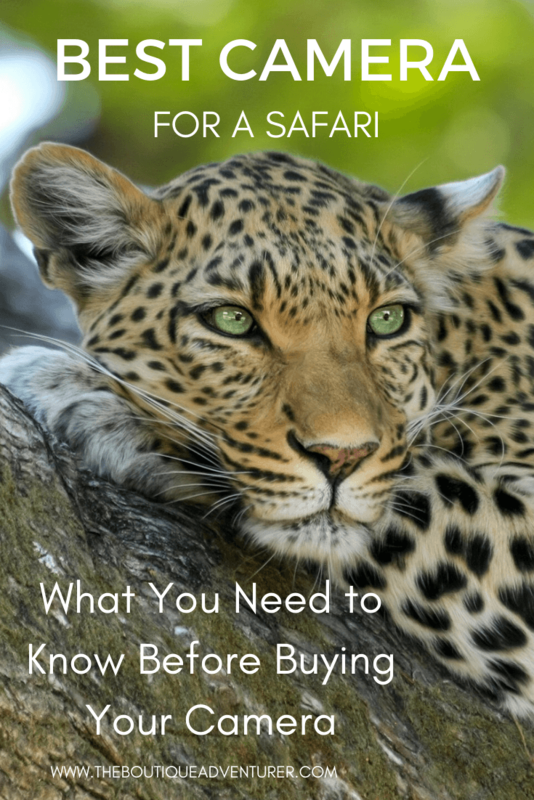 These sound like some great choices for cameras if you are heading off on a safari I definitely think making sure you have a camera that works well for the job can make all the difference to your images. Thanks Sarah – yes definitely – and making sure you are familiar with your camera before you go as well! This was the perfect article to stumble across today as I’m in the market for a new camera. Thanks! Great Safari friendly camera options! I always carry a simple DSRL camera from Sony and also GoPro for fun activities. My husband is into taking photos of wild life and nature, I think this would be great gift for him on Christmas! Soonjoo sounds like you are very well placed for safari! Add a bean bag in and you’ll be set! Awesome information. I’ve got the camera and the tripod. I just need the lens then I can book my flights and accommodation to go on a safari. Great! there is also an option to hire lenses – I must add this to my post! These are some great tips! I need to get a new camera. I hope I can go on a safari one day. I have the camera and the tripod. I only need that massive lens. Surely how does one travel with that thing? Anyway, I then need to get flights and accommodation and I’m ready for the safari. Hi Alvern – yes it is a downside! I usually take my camera equipment as carry on to protect it. Many airlines are quite good about allowing camera equipment through as separate from your carry on luggage allowances so it might be worth checking. Again, a lens that massive is not a mandatory – check out 300m lenses as well. Although I don’t need a camera, these photos are excellent! I’m a sucker for wildlife photography haha! Beautiful job. Thanks so much Peter! I’m a sucker for compliments! reading this makes me want to pursue my long dream of experiencing a safari! and great tips here, i personally love canon d series! 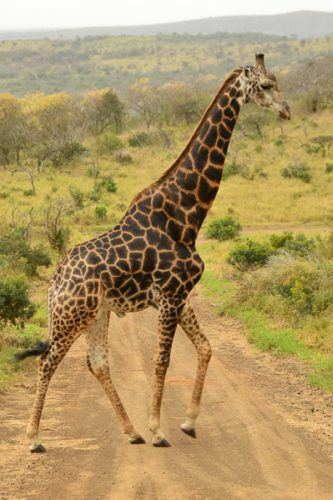 Hi Patricia-Ann – I highly encourage you to pursue that dream – safari is such a wonderful experience! Hi Joanna. Yes animals are extremely difficult to capture – even more so than children! but there are some great tools available these days that make it easier – the faster the auto focus and taking loads of shots and the more likely you are to get that one good one – and that’s all you need! What amazing photographs! I have always wanted to go on a safari, hopefully, one day that dream will come true. I love your camera recommendations too! THanks so much Charli! I do hope the information is helpful! This post is so thorough and full of great info! I was guessing your were going to recommend a dslr, which I have, although I would have to get a new lens if I went on Safari! I am adding this to my bucket list by the way!!! Thanks Liz! Can’t beat a DSLR! Perhaps look at hiring a lens first and making sure it works for you before making the big investment! 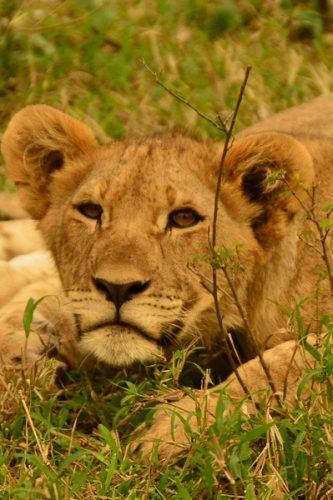 Hi Sundeep – lucky you going on safari 3-4 times a year! I do recommend perhaps hiring a couple of lenses before you buy so you can make sure you make the right decision when it comes to spending all that money! If I was going on a safari I would definitely want to invest in a good camera. I am definitely a canon photographer. Love how easy they are to work with but all these I’ve kinda looked into before. I would love to go on a real safari some day! I can see where you would really need to do your research on the proper camera for it too!!! This baby is been with me for couple of years and I love it. Thanks Blair – I refer to mine as my baby as well! This reminds me that I really need some better equipment for my camera. I need some better lenses to get some better pictures. I can see why the DSLR are the best.